The Young Composers 2014 project is finished. We had 16 participants this year. 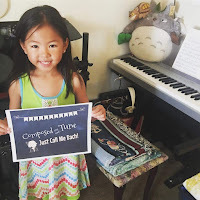 Everyone did a terrific job and we had a lot of fun writing these pieces! We had two participants this summer, very proud of Ryley & Brooke for taking the time to put into preparing a piece to submit to the festival. You can view their submissions below, and learn more about the festival here. Making Music Fun - App Review! I get a lot of music from MakingMusicFun.net, as many of my students have commented after seeing this website at the bottom of many of their music sheets. So, I was quite pleased to find out that they were creating an app! 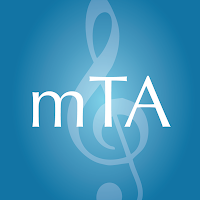 Sight Read MTA is an app I came across recently that has been getting a lot of use in my lessons the past few months. And since it is something I have found incredibly helpful, I'm reviewing my experience so far. 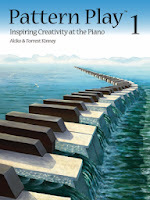 For about a year or two, I have been looking for an approach to teaching improvisation, or creative piano playing, that I could incorporate into my current teaching curriculum. I wanted something that would be both easy to understand, but creatively challenging. Something that younger and older students alike could grasp and enjoy.